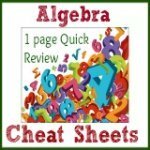 No more feeling stressed, overwhelmed or frustrated with your Algebra work! This website will solve ALL of your problems! Now Enrolling!! 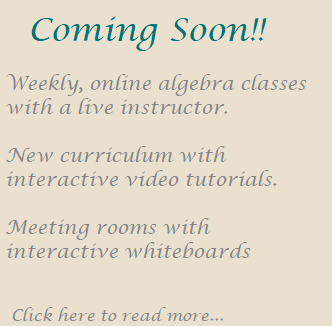 The all new Algebra 1 LIVE, Online class! 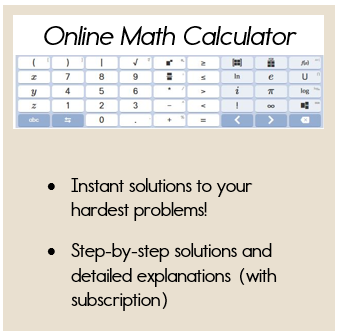 Perfect for home-school families or anyone who needs guidance while taking our Algebra E-course! 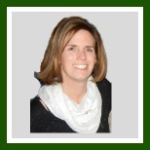 My name is Karin Hutchinson. I am one of those CRAZY teachers who loves to teach Algebra. After helping many middle school students (who despised math) learn to LOVE Algebra, I decided to try to help more students around the world get rid of their fears and frustrations of Algebra. Most students don't do well in Algebra because they don't have the basic "building blocks" or foundation in order to understand more difficult concepts. My goal is to help you build that foundation so that you are not only successful, but come to enjoy the challenge of Algebra. Start with the nav bar at the top. All of the major units will be listed under Algebra or Pre-Algebra. Click on the unit that you are studying and check out each of the lessons. 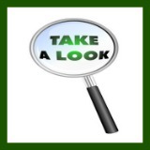 Every lesson contains step-by-step written examples with helpful hints to help you solve the problem. Some lessons follow up with a video tutorial for more step-by-step instruction. If you need more direct video instruction with a lot of practice problems and detailed answer keys, check out the Pre-Algebra Refresher Course and the very first unit in the Algebra 1 course, Solving Equations. 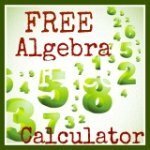 These two FREE units will give you a solid foundation for Algebra which will allow you to better understand the entire Algebra curriculum. Are you looking for a complete and thorough home school curriculum? Or are you trying to pass the college entrance exams to avoid taking the introductory college course for no credit? Or maybe you are struggling with your Algebra course and need a 24/7 tutor. If any of these describe your situation, you will benefit from a subscription to the Algebra 1 E-course, which is an in-depth study of beginning Algebra. Note: I've also started the Algebra 2 curriculum. The first five units are now available with the Algebra 1 subscription! Click here for more information on the Algebra 1 course. Need help figuring out if your homework answers are correct? Try this free calculator that will calculate the answer for you. It's a great way to check your answers to make sure they are correct. Just remember, if your answers are not correct, be sure to go back and find your mistakes! Print these one page notes worksheets for every unit! With just a quick glance, you can review all concepts and special formula for each unit. Have you mastered Algebra? 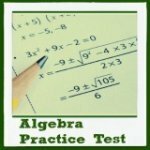 Take this practice test to assess your Algebra proficiency. Yes, it even come with an answer key! Are you ready for Algebra? 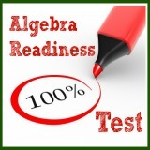 Take this readiness test to see which concepts you may want to review before starting an Algebra program. You can use the navigation at the top to click on any unit and find lessons with complete examples and some video tutorials. I will walk you step-by-step through hundreds of Algebra problems! You can also use the Algebra site map to quickly find lessons for any algebra lesson. Studying Pre-Algebra? Use the Pre-Algebra site map for quick and easy reference to all Pre-Algebra lessons. Now, let's hop on the "cool" bus! 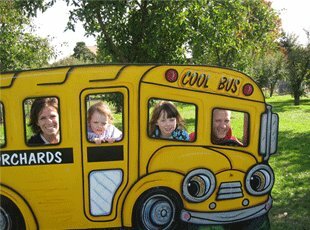 Yes, that's my family and I on the Cool Bus! Come join me and start mastering Algebra!